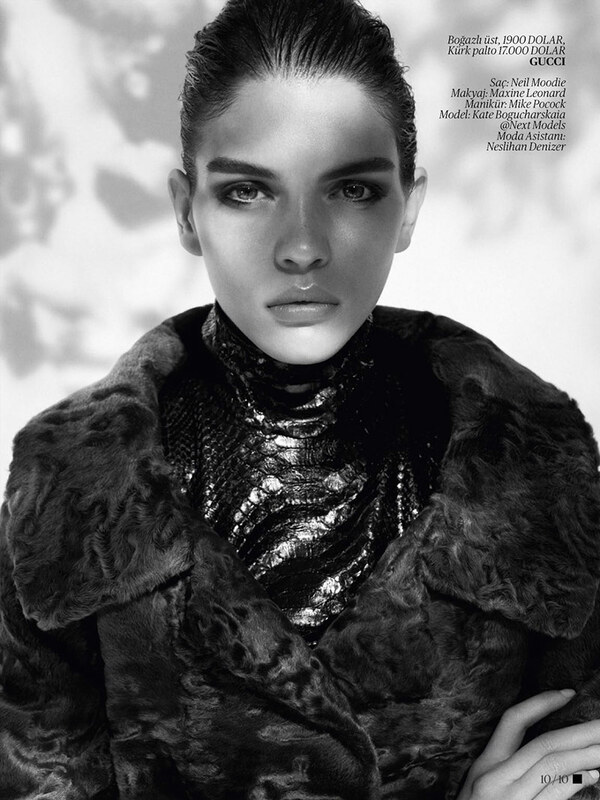 Jem Mitchell shoots beautiful newcomer Kate Bogucharskaia for November Issue of Vogue Turkey. Styled by Konca Aykan. Make-up by Maxine Leonard and hair by Neil Moodie.